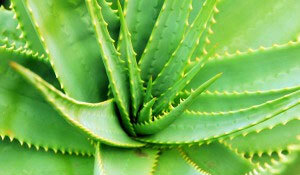 Aloes include a wide range of succulent plants that are found growing naturally mainly in Africa and Madagascar. 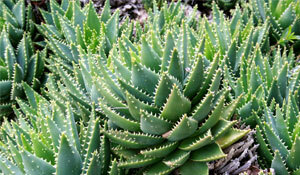 Some 125 different species are indigenous to South Africa whilst numerous garden hybrids that have been bred for superior garden performance. 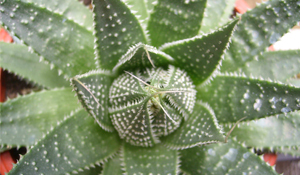 The range in terms of plant size, shape, texture and flowers is enormous and growing continuously as more hybrids are introduced. The colourful flowers are rich in nectar and attract copious amounts of birds and insects to the garden whilst in bloom. 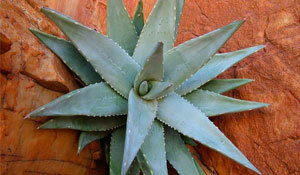 Aloes are drought hardy and easy to grow in most climates. Some are far more frost or cold tolerant than others. Select wisely in colder areas.